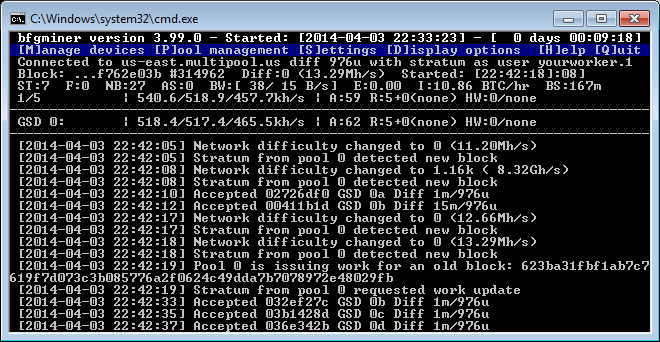 We have compiled a windows binary based on the latest bfgminer 3.99.0 (source) with support for the Gridseed 5-chip ASIC miners. The code includes some improvements and fixes and you can also set finer operating frequencies in 25 MHz increments. We have been focusing on releasing updated windows binaries for cgminer lately, so the previous bfgminer windows binary that was released here a while ago is already pretty old. You should be careful with the new release if you are using earlier Gridseed 5-chip ASIC devices that use the CP2102 USB to UART Bridge Controller as these apparently do not work properly with the latest bfgminer 3.99.0. 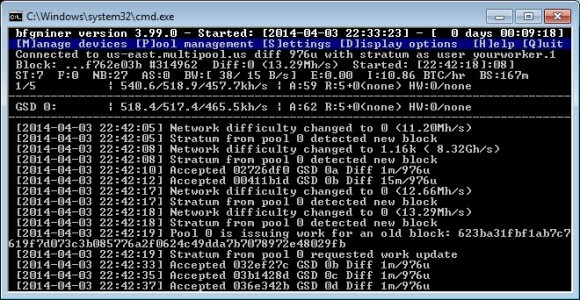 The older miners are beign detected and local hashrate is getting reported, however it seems nothing gets sent to the pool, so for these you should stick to the previous binary that works just fine. For the newer Gridseed ASIC revisions that use the STMicroelectronics Virtual COM Port (STM32 Virtual COM Port) there are no problems with the new release. Note that we have also included a compiled version of the gridseed-support-clean bfgminer branch in the archive, so if you have trouble with one you may try with the other version and see if it will work better. You need to download the archive if you already have downloaded it in order to get both versions compiled for windows.